On 6th February 2014, CBSE issued a circular prohibiting franchisee schools’ payouts for logo and brand. While the circular holds firm and safe on the website, a range of litigations and tweaking of agreement occurred in the real world. Is the circular still valid? Sexual Offences Against Children: What Should Schools Keep In Mind? Franchise is “an authorization granted by a government or company to an individual or group enabling them to carry out specified commercial activities, for example acting as an agent for a company's products,” defines Oxford dictionary. Franchising essentially evolved through protection taxes and licensing of tangible products like machines and foods. Historically, it has been a tool in capturing new geographies and territory. Core idea was to make ‘standardised quality of product’ accessible to a mass market. Market has crossed over the boundaries of ‘products’ and entered the ‘services’ bound with education. Post globalization, like any other market, education sector too opened itself to choices of brands that parents can select for their child. Concept of franchising in schools became popular when Delhi Public Schools Society started franchising in 2007. They aimed at sharing their ‘quality of education standards’ with individuals interested in investing in setting up a school. “Bulk of the requests come from prominent businessmen of the area who may or may not have experience in education but has a similar vision, young entrepreneurs and owners of automobile dealerships. Surprisingly, not many real estate owners show interest,” explained Shreevats Jaipuria, Vice-Chairman, Jaipuria Institute of Management and Group of Schools. According to the KPMG- FAI (Franchise Association of India) Report, pre-schools and IT vocational training institutions were to revenue $94 million with 21000 outlets and $2700 million with 8500 outlets respectively in 2017. K-12 schools, though finds a minimal space in this percentage, has a high value among parents, especially of the Tier 2 and Tier 3 towns. Some big and esteemed names viz. Ryan group, Heritage Schools, Pathways are more towards setting up their own school and not licensing. Post the circular, school franchising industry was shaken. 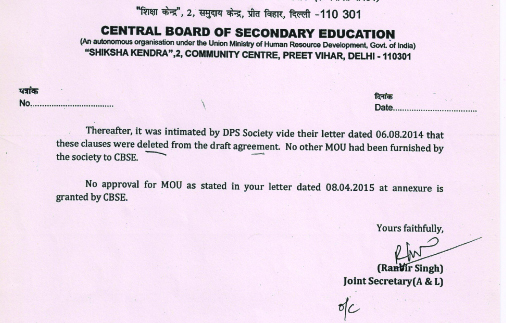 DPSS revised their agreement with their franchisee schools and placed it before CBSE Affiliation board for approval. 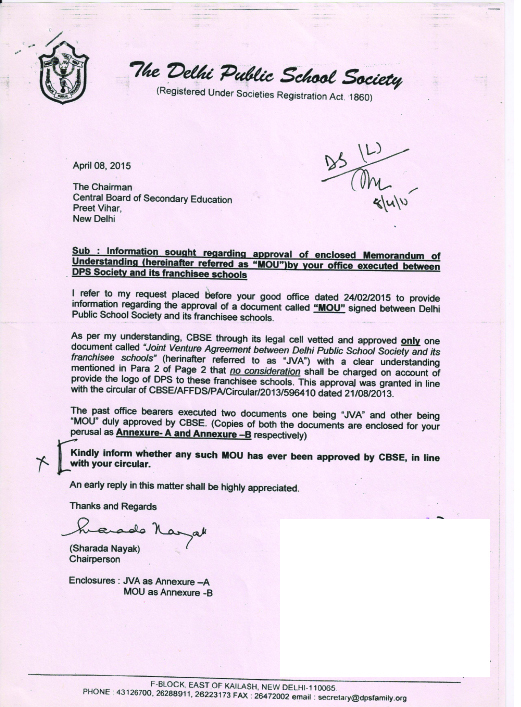 Based on the RTI filed by Akash Singh of Learning Path School, Chandigarh, DPSS’ agreement was ruled out. DPSS was asked to reimburse all amount charged by the Society to its franchisee schools on account of logo and brand. However, neither of the authorities were ready to talk about the further discussions and impact post the 2014 dialogue. This popular dialogue pushed all the franchisors to move from the word ‘FRANCHISE’ to ‘LICENSE’ or ‘PARTNER’ in their agreements. Most of the ‘partners’ of education have changed their agreement language to charge for the teacher training services, lesson plan, ERP systems, curriculum plans, teacher selection, etc. in place of the brand and logo. 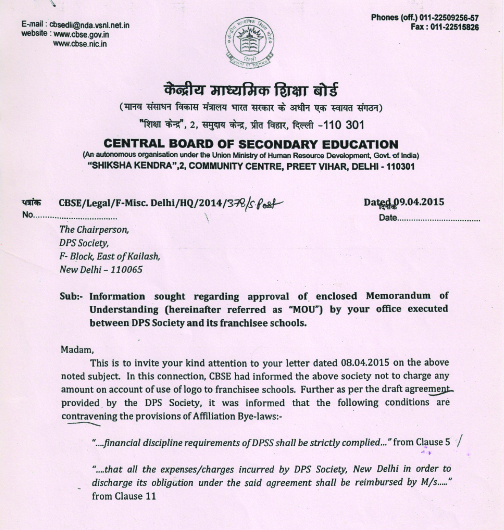 CBSE, traditionally, is an assessing authority and not a regulatory authority. However, even though it regulates, detailing of bye-laws and regulations, is a necessity especially when it comes to franchising since India does not lay down clear franchise legislations. Regulation of fees, 7th Pay Commission, non-commercialization of education, government’s no-subsidy on school lands and now GST on education’s ancillary services are cross-contradictory. Needless to say, behind all these chaotic confusions, sufferers would only be the children of India.